Do you want to find out how long a journal takes from submission to acceptance and publication? To figure this out you select a few of their publications and look up this information either on the PDF – where dates of submission, acceptance, and publication are usually indicated on the first page – or look on the site of the journal for ´Metrics´ or ´Article info´. Alternatively, you can look some of this information up on websites. For a lot of journals in the Social Sciences there is a website called JournalReviewer with turnaround time, reviews, and recommendations. For journals in among others the Medical, Physics, Chemistry, Biology, and Engineering fields there is the SciRev website. Both sites rely on scientists to submit reviews on the journals they have submitted papers to, so if you want to contribute from your own experience you can. The SciRev site has in addition to the reviews per journal also some statistical information on journals in specific fields. I analyzed the turnaround time for a number of immunology journals and the average time from submission to acceptance was a little over 6 months (187 days)*. The time from submission to acceptance varies however greatly between journals, from 80 days for Immunology to 318 days for Immunity. After acceptance, it takes on average another month for the article to be published online. 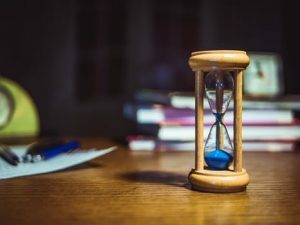 So if time is an issue it may be worthwhile to investigate turnaround time when selecting a journal to submit your manuscript to. If you think half a year or a year is a long time to have to wait for your article to get published you may want to look at the metrics of this article in an algebra journal. It is an unusual example of a rather slow editorial review process, where an article was submitted in June 1995 only to be accepted in May 2006 and publication took two more years… The authors were extremely patient and when asked took most of the blame on themselves. Fortunately, such extreme delays are very rare. If you don´t see any progress in the online submission system a couple of months after submission of your manuscript you should definitely send an email to the editor asking whether there is a problem. *I analysed seven journals, five random publications per journal, one in each year from 2014 to 2018.